As the last place we visited in Chicago (by my request, of course) before departing from Chicago, we agreed to visit Videogames: Then and Now. It had pretty good reviews online for having a wide breadth of video games (two words!) and reasonable prices. We showed up the minute the store was supposed to open at 11am, but it still appeared to be closed. It wasn’t for another 15 or so minutes passed that the owner showed up and opened the place. But there was quite the selection once we actually got in. There were cartridges, and their respective consoles, for games even before the NES, even if I didn’t have any real interest in buying them. There were even a few, such as the Vectrex, that I hadn’t even heard of before! I own some form of every Nintendo handheld, and every console since the GameCube, but nothing from their selection stood out to me. I’ve been looking for a copy of Beyond Good and Evil, but I wasn’t able to find it. And thus, I gave the “Now” part of the store a lot more consideration. There was a healthy selection of PS4 games, three of which caught my attention the most: Rise of the Tomb Raider, Bloodborne, and Resident Evil 4. I’d seen all three games speedrun in “Awesome Games Done Quick,” but Rise of the Tomb Raider and Resident Evil 4 had been speedrun within the past two days! Perhaps it was because both were so recent in my mind that I decided to take the plunge (against RTLewis’ advice) and buy two of them! Sorry Bloodborne. Maybe one day. As I’m currently still on the ride home, I haven’t been able to try them out, and both discs are very unlikely to even enter my PS4 until a few months from now, if not more. But I did have to point out how cool this copy of Rise of the Tomb Raider is! Inside the sleeve, it looks like an old book, and it even has a bunch of pages of both fan- and official art. Even though I’ve never played a Tomb Raider game before, it’s still really cool, and I had no idea about it until after making the purchase! Resident Evil 4 is just the standard game case, but I’m still super excited to eventually play my first Resident Evil game! Both games collectively costed me around $40, which was quite a bit less than what they cost on Amazon! I’m using a lot of exclamation marks! Overall, Videogames: Then and Now is a pretty awesome place for games from a few years to a few decades back. Their old Nintendo games might be a bit lacking in particular, but they likely have something for just about every console you could think of. 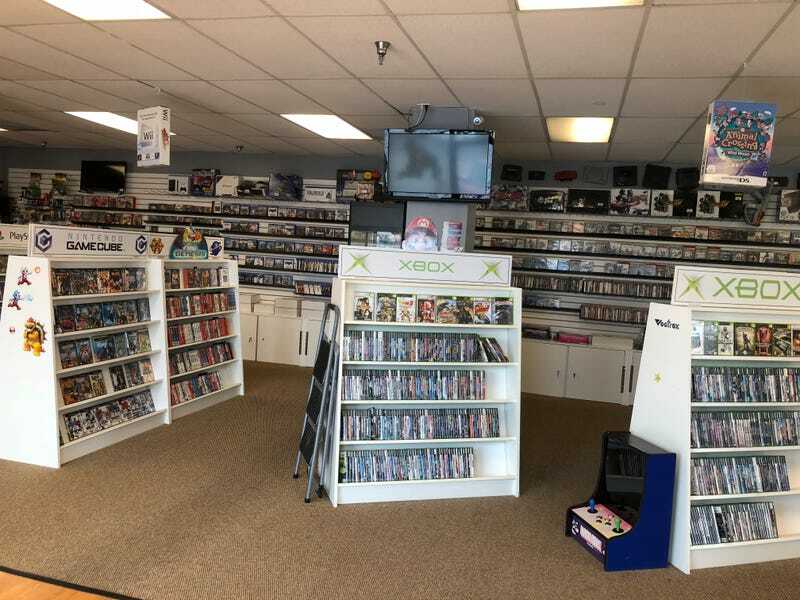 As I said in my previous article, if you happen to be in the Chicago area and you’re looking for a few good deals on games, you should check it out!